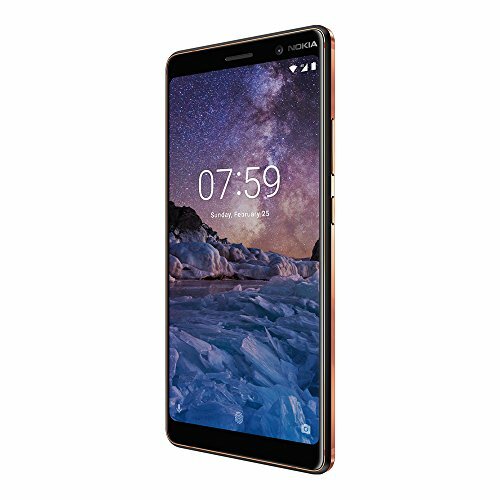 ‘Mid-range’ may not sound exciting, but to us it’s the best bit of the tech industry, where you find products that have more than basic features at less than top-end prices. 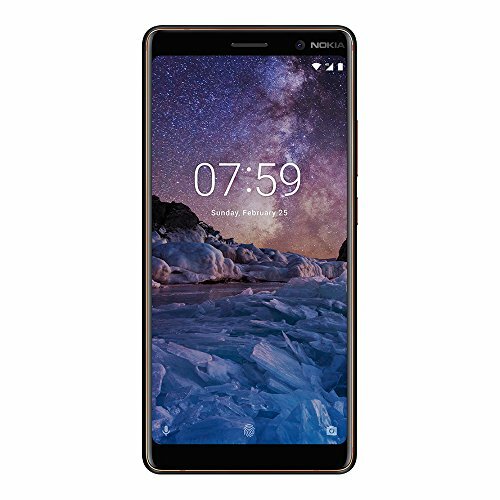 The Nokia 7 Plus is a perfect example. You’d better like your phones big, because the six-inch 18:9 screen has borders at the top and bottom. It’s still slim, though, and the design is an attractive sandwich of matt black aluminium and shiny copper-colour edges. 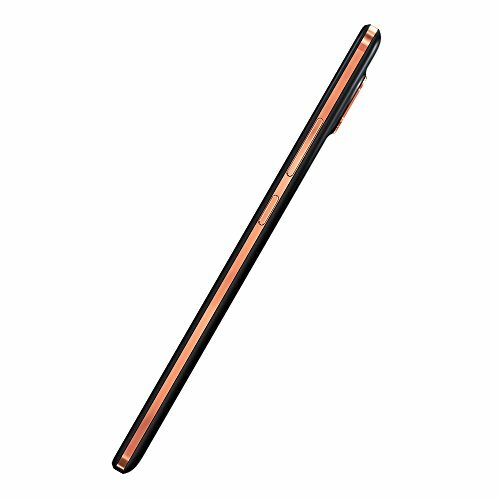 The super-sharp IPS screen doesn’t disappoint and follows Apple in targeting the wider DCI P3 colour range, as used in film and TV, and our meter found 96 per cent of it covered. Brightness is just OK. Inside is an eight-core Snapdragon 660 processor that delivers performance somewhere between the similarly priced Huawei P10 and Sony Xperia XA2 Ultra. Graphics scores were only half the former but about 50 per cent above the latter. Basically, it’s fine, and our video-playback test ran for 15 hours 40 minutes before the 7 Plus dimmed its screen to eke out another 45 minutes. The dual Zeiss rear camera offers 2x telephoto, a rare and welcome bonus, and we were happy with our photos. Android 8.1 is on the Android One scheme, meaning prompt updates and no unwanted extras. 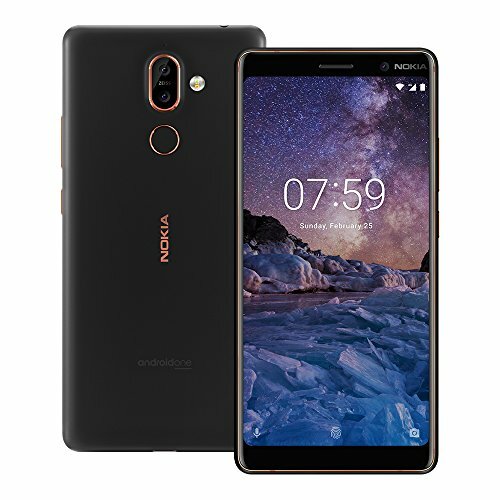 Qualcomm SDM660 Snapdragon 660 Octa-core (4x2.2 GHz Kryo 260 & 4x1.8 GHz Kryo 260) CPU ; 64GB ROM, 4GB RAM ; Supports microSD, up to 256 GB (uses SIM 2 slot) ; 3800 mAh battery. Main Camera: Dual: 12 MP (f/1.75, 1.4 µm) + 13 MP (f/2.6, 1.0 µm), dual pixel phase detection autofocus, 2x optical zoom, Carl Zeiss optics, dual-LED dual-tone flash; Front Camera: 16 MP, Carl Zeiss optics. 6.0 inches, IPS LCD capacitive touchscreen, 16M colors. 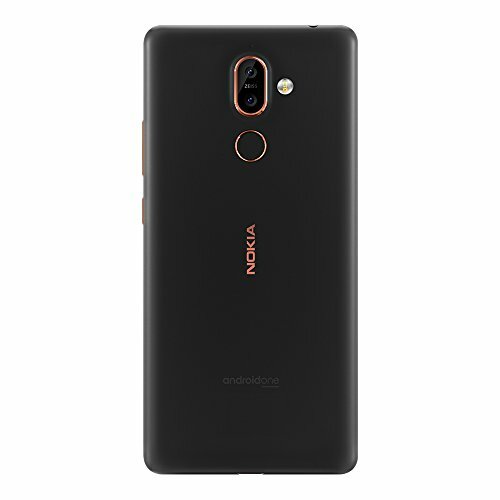 Package Content : Nokia 7 Plus (TA-1062) , Charging/data cable , Nokia USB-C Charger , Quick guide , SIM door key. PLEASE NOTE: this is an international version of the phone that comes with no warranty in the US.